Host a Flavorful Affair With Just A Taste Catering!  For the past ten years, Just A Taste Catering has been providing exceptional catering and personal chef services to delighted clients in the Bozeman, MT area. Chef Liz has nearly two decades of experience in the culinary arts. With our creative dishes, fresh flavors and attentive staff, we can bring any special event to life. Chef Liz and her talented team of 25 staff members have the skills and experience necessary to cater large wedding receptions, corporate luncheons and other special occasions. Plan an event that your friends and family won’t be able to stop talking about – contact us today for wedding catering or personal chef services in Bozeman, MT. Your guests will savor every bite of the flavorful feast we provide. Accommodating: Just let us know your preferences, and we’ll follow through with every detail to make your special day perfect. Customizable: With both elegant and casual dining menu options available, you can customize a menu with your favorite offerings. Versatile: Chef Liz and her team can cater events of all sizes, from an intimate dinner to a party with over 1,000 guests. Feel free to view our menus online for inspiration. Call Just A Taste Catering now to schedule a tasting and receive a free quote on your catering services. We also offer private chef catering service. Think of this as just like bringing a restaurant to your home. If you’re planning a birthday bash or celebrating an anniversary, Chef Liz and her staff will prepare, serve and clean up so you can just enjoy visiting with your guests. Contact Just A Taste Catering today to learn more about our personal chef catering services in Bozeman, MT. Copyright © 2019 Just A Taste Catering, all rights reserved.